Remove the instrument panel compartment. 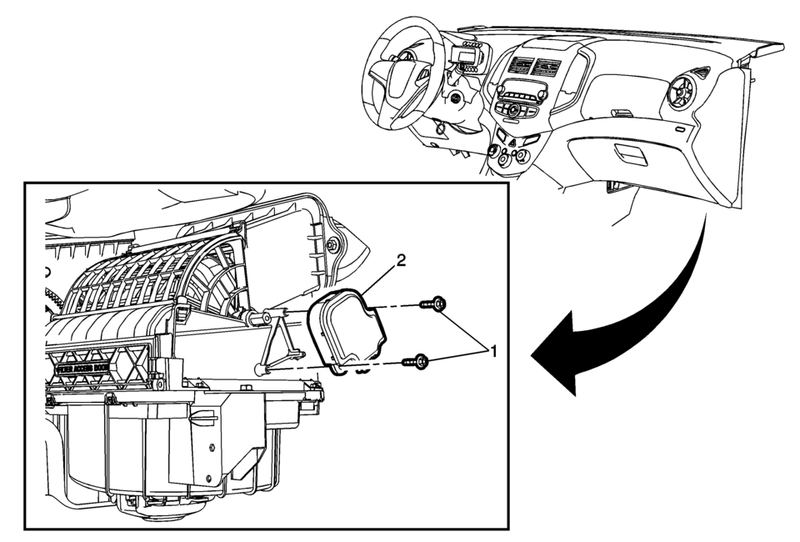 Refer to Instrument Panel Lower Compartment Replacement. Reposition any wiring or hoses to gain access to air inlet valve actuator.